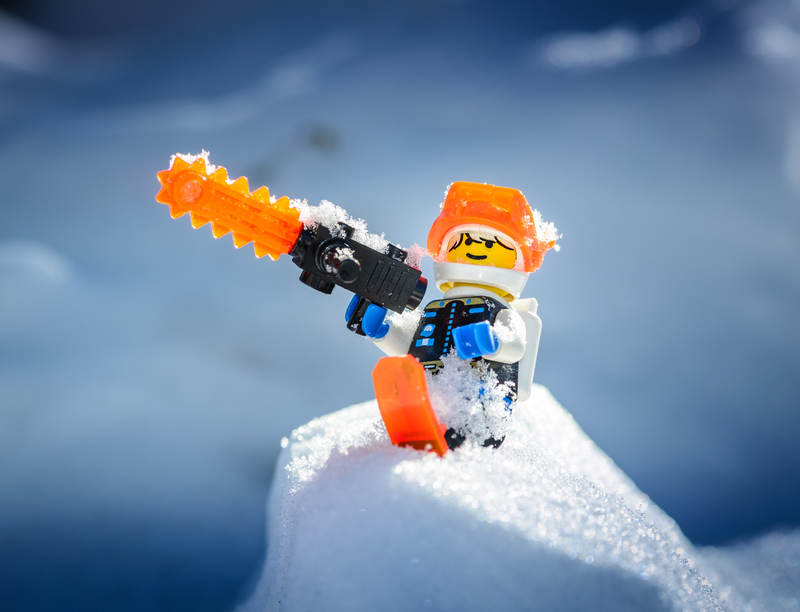 Not even the might of the legendary Orange Transparent Chainsaw can withstand this painfully frigid cold snap. Stay warm. As for this image specifically, this was a quick impulse shot I took on a mound of snow in my front yard on a Sunday morning. I used my macro lens and a subtle flash, since the minifig was backlit.